Curiously, there’s a physician marketing idea tucked into the baseball film Moneyball. It’s about dealing with change. Just about everyone in the nation’s healthcare delivery system is struggling—to a greater of lesser degree—with the dynamics of change. Doctors who have been building a private practice for decades, for example, have been challenged with options such as selling the practice, merging with (or exiting from) a physician group, forming a relationship with a hospital, or perhaps, retiring in frustration. Some physicians and private practices have settled into a new routine of some sort, others have begun to move in a new direction and still others are on the wait-and-see sidelines. Almost daily we encounter a medical practice where the marketing plan is “on hold” until or unless something else is settled or decided (and hopefully a new course will somehow be revealed.) Medical practice marketing stalls. We see a parallel between healthcare and a (true) baseball story. 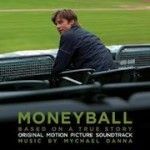 If you’ve seen the award winning film Moneyball, (or read the book) perhaps you’ll agree. The frustration for many doctors must be similar to that of Oakland A’s General Manager Billy Beane whose job it is to build a competitive team. In the film, the team owner will not increase Beane’s lowest-in-baseball player budget. And his “old school” scouts are entrenched in the largely intuitive (and ineffective) ritual for finding new players. The conventional doors are closed, so Beane takes a risky new course. He pioneers the use of a unique statistical analysis of players. (Sabermetrics). Beane’s system helps produce a winning season and post-season contention for Oakland. What’s more, most major league teams subsequently adopted his breakthrough approach. In short, with the usual options closed–and conventional wisdom wrong–Billy Beane took a chance and created a new way of doing things. OK, that’s hockey…but inventing a new path to personal satisfaction and professional success might mean blazing a trail where none exists. Change is unsettling, but sometimes you change the game.